You got this. Riots have started in the North Ward, but you have the strong warrior required to quell it. A magical statue has begun walking around the city, causing havoc, but you have a few clerics in your service who are more than capable of calming it down. The Silverhand got their grubby hands on a spellbook that doesn’t belong to them, but you’ve employed the services of a nimble-fingered rogue to get it back. Yes, as the mastermind of your Guild, you’ve got the skills and resources to handle any quest that pops up in Waterdeep, but do you have what it takes to turn your guild into the most prestigious one in the land? That’s the role you take on during a game of Dungeons & Dragons: Lords of Waterdeep! As guild-master, you’ll be collecting gold and hiring adventurers to complete quests for the folk of Waterdeep. Of course, the other guilds will be competing for the same glory and they may even try to sabotage your rise to greatness! 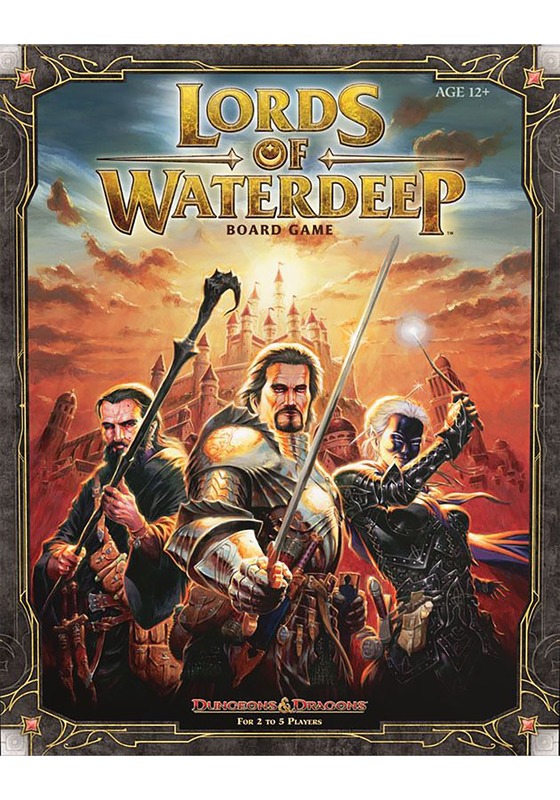 The Lords of Waterdeep game is an officially licensed game based on the classic tabletop RPG, Dungeons & Dragons. The gameplay is a simple worker placement style gameplay. Each player takes turns playing their pieces on the board, receiving bonuses and resources. Trade your resources in to complete quests and gain honor (and victory points). The player with the most victory points at the end of the game wins. Be careful though, since the guilds are quite competitive in Waterdeep. You’ll have your work cut out for you if you want to be the best!